Introductions Take a moment and introduce yourself. Hi folks. I've been watching this forum for at least 18 months and dreaming of a V8 Miata. I have a 1983 Mustang that I have owned since college (I'll be 50 in March), and have rebuilt or replaced pretty much everything on it. I've spent a lot of time on Mustang forums as I worked over various systems of the car. I like autocross and HDPEs, so the 'Stang was built in that direction, though I have run the quarter a couple of times at Norwalk. I reached the conclusion this summer that my Mustang will always carry Fox-DNA, and I want something that will handle with grace and stop with confidence. So there's one choice - Miata! And since the power and sound of my V8 is the best part of that car - the match-up become obvious. So I found a tired 2002 LS a couple of months ago, and am working on getting it ready for some autocross. I'm 6'1" with a 32" inseam, so I am finding the race seat / roll bar / broom stick combo to be challenging. Come spring, I'll see what I can get for my 4-eye Fox, and that will help me decide if I am going to carry it's engine / trans into the Miata, or start over with a stroker. Either way, it will be 302 / 5.0L based and carbureted. I have Martin's book, but I plan to do a fair bit of fabrication myself. I've learned so much from this forum, and I look forward to learning a lot more! Most of all, I've seen over and over that the V8 fits, and that these things are a HOOT to drive. Modern Shelby, here I come. Sounds like you have the right attitude to do a V8 Miata swap. The biggest help that I found while doing the swap on my 2000 is to think of it as a whole bunch of little projects rather than one huge pile of things to accomplish. It is surprising how many one hour projects you can get done with small pieces of spare time. Even though it is an LS based swap rather than a Ford V8 swap, you might want to watch the Taylor Ray series on YouTube where he changes the drivetrain in his NA Miata. It is very much a learning process for him and you can get lots of tidbits on doing various smaller projects as well as a number of things to NOT do. In my book a bad example is just as good as a good example as long as you are willing to learn from the mistakes of others. Another good reference, again, an LS but still a terrific video, is Tom's Turbo Garage. The blog referenced in my sig is also useful, and it has a lot of Ford stuff. I now have 2 302 swaps and am helping a friend with another. The 302 is somewhat smaller and easier to fit in, especially around the headers/steering. And welcome to the forum. Welcome to our V8M forum! I, too, had an ‘84 5.0 LX — convertible back in 87. 4 eye Fox for the win..! Please share a build thread if you haven’t already started one as these are fun to watch and chime in on as well. Welcome, I'm just finishing up my 5.0 swap on my 96, and am local (Seven Hills). I have a build thread that shows what all I have gone though over the last 4 years of this swap. If you have any questions/want to bounce any ideas off of me, let me know. took me a good year to decide to start my project, now two years in and no time to work on it but hoping to find time next month to spend a full week on getting the roll bar / new frame rails and trans mount knocked out. I had a 79 pace mustang that got trashed but was able to save the hood / front GOP/ Bumper, my son, (21), desperately wanted a 4 eye car so I took his 25th anniversary 1990 convertible and converted to 4 eye. I would say its 50:50 on the lovers vs haters, he loves it so that's all that matters. Hardest part was finding room for the 3 front crash detectors as the center unit required me to cut the bumper a small amount and I had to build custom brackets for the L+R sensors as they occupy the space for the second set of headlights. The cowl vent is also narrower so I will still need to make some metal work mods yet to fit the early cowl vent and I found the lower window trim on my 85 T-Bird will work to take up the extra space. As BGordon stated break it into smaller tasks and its not so daunting, and if you are doing your own Fab Work, be prepared to modify EVERYTHING, LOL. Also going with F0RD power will get you asked a lot why not LS so be prepared. Jason - thanks much for the invitation. I believe that I have already started to review some of your project work. Nice to know there is someone else with a limited driving season? Are there many folks with V8 Miatas in the NE Ohio area? Dean0- Thanks. Yes, the 4-eyes are pretty rare now, so I hope there is a decent market for it when my '83 becomes a rolling chassis. I've fabricated a lot on the Mustang (built a rear suspension with heim-jointed control arms, torque arm, and Watt's link), which I now see as preparation for a project like this. I plan to fabricate all that I can. Agreed on the one-step-at-a-time thing. I'm going to do as much as I can this spring to prepare while I still have something I can drive - frame braces, my race seat, a roll bar, etc. I have not run in to any, but from speaking to others, a few have been seen at car shows and auto-x events. Not very common to see around here though. Same way where I am at. Lot of people have heard of V8 Miatas, and have seen them online, but few have ever seen one in the wild. Also, just to prepare you, there is never a shortage of people that are "going to build one" when you take it out. Nice hood vents, STNG_96. 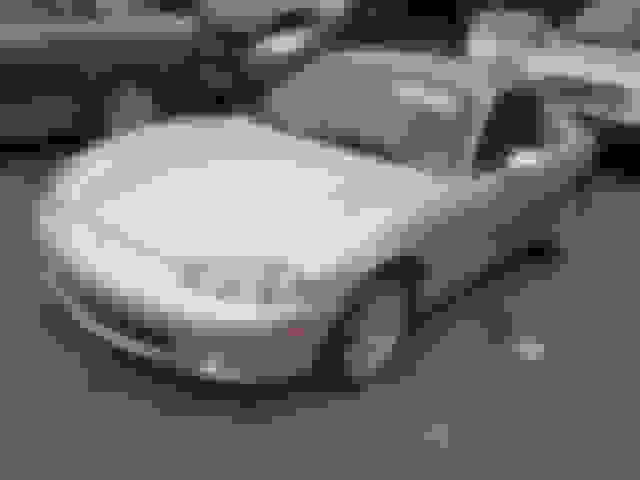 I'll look for your build thread, because we have an NB in common. Thanks for posting such a thorough build thread!! You've done some great fabricating work! With the door bars and subframe reinforcements, do you feel that the cowl braces also add something? They look like great pieces, by the way. Thanks for the compliments. All the of the parts you mentioned where done all at once, including the stich welding at other joints so I can't really speak to the individual effectiveness of one single part. 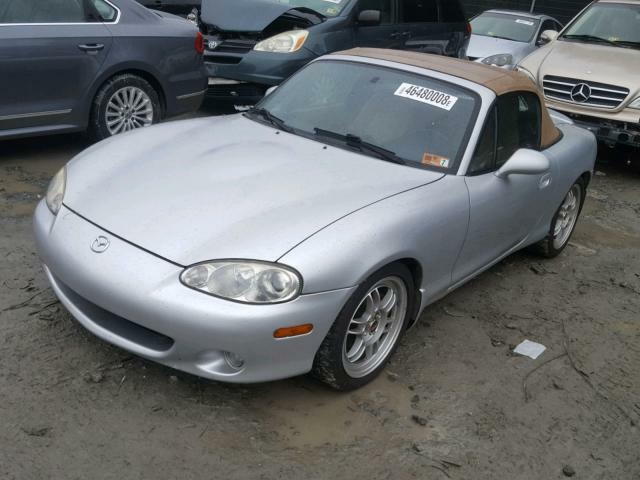 If I had to speculate however, I would guess that the door bars have made the biggest difference, I have had 10-15 other miatas in varying levels of stock to wild, and this car feels like a different car compared to any of them. The cowl braces I am skeptical, but I enjoyed building them so I would do it again. I'm currently doing some seam welding (stitches along the full doorframe seam) and 1" square steel along the sill pinchweld seam. I figure neither will hurt, and the square tube will eventually get tied into what I eventually do with the frame rails. I like what I've seen with 2" tube inserts. Part of that depends on whether or not I will have to drop the seatpan to get my racing seat and head under a roll bar. I will do door-bars with the rollbar, but I've not decided on the additional cowl braces yet. And I pulled the fog lights and I am converting the holes to brake cooling ducts with DRL "angle eye" surrounds. I figure all of this will help in the short term, and help build a foundation for the eventual V8. Figured out the gallery and added a few pictures, if anyone is interested. Also figured out how to add one to a post! The more I read, the more I find that there are some really cool people on this forum. I'm honored to be part of the gang. So, how / when do I get to post in other parts of the forum? You should be able to start a build thread now? Does it not give you the option? I think my build thread was the second thread I started beyond my intro. Then off to a build tread I go! I finally got to drive my V8 this weekend.